Enabling our companies to focus on growth by providing value through culture, expertise and resources. 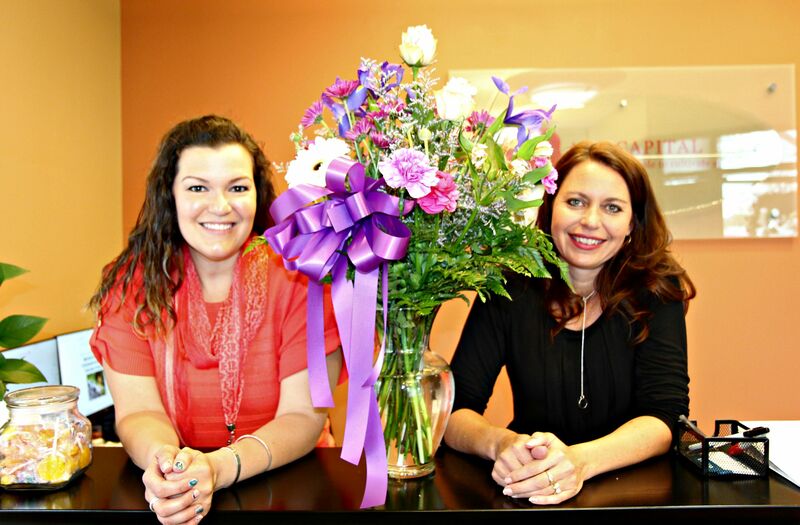 Let’s Celebrate Administrative Professionals Day! This Wednesday, April 26, is Administrative Professionals Day. Because they are an important part of any business team, take a minute to celebrate by showing gratitude to your Administrative Professionals! Here are four ideas to show your appreciation of those who support your departments. 1. Order Lunch! Have lunch in the office with the team today. Many restaurants and fast food restaurants will cater lunch for your office. Order ahead and get a variety of foods then take an hour out of the day to relax and have an enjoyable conversation. Tip: Give your administrators a break by doing the ordering yourself! 2. Swag! Order some company swag for your administrators. Polo shirts, sweatshirts, pens, blankets, and keychains branded with your company logo make great gifts. Get something exclusive for your administrators to show your gratitude for all that they do within the company. 3. Head to Hallmark! Stop into your local greeting card store and browse the Administrative Professionals Day cards (yes, there is a section for that!). Pick a card and personalize it for each administrator; express your appreciation for the work that they do for you and your department. You can also take this a step further by adding a gift card for lunch, a massage, or a local store. 4. Extra Time! Show gratitude with the best gift you can give, and extra few hours or day off. Even though you depend on them, try to fend for yourself for an extra afternoon and allow your administrators some extra time off to themselves. These are just a few ideas to help you recognize your administrative support team. Do you already have plans to celebrate Administrative Professionals Day? Share your ideas in the comments below!